How do you make your business stand out with a holiday marketing campaign?? Learn more about the eCommerce inbound strategies we executed to help Final Draft crush their Q4 218 revenue goals. How do you make your business stand out on one of the most highly emailed weeks of the year? 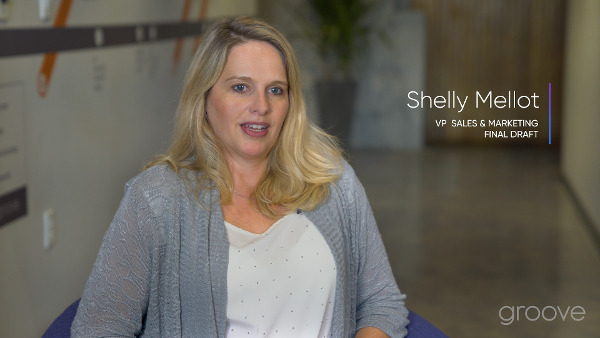 How do you introduce a new product upgrade to legacy customers, trial users and new prospects? Final Draft, the world's #1 screenwriting software, challenged our team to answer both of these with a goal of surpassing revenue from their 2016 launch of Final Draft 10. Additionally, our team helped them better utilize HubSpot's robust functionality and streamline processes to save time. Final Draft used this increased efficiency to focus their attention on high-value activities, like connecting with their prospects on a personal level and tailoring messaging to better resonate with their needs. Final Draft is the number one professional screenwriting software used by screenwriters around the world. Throughout our partnership, we’ve helped the company redesign its eCommerce website, optimize its marketing efforts and strategically align its target personas to improve business KPIs. 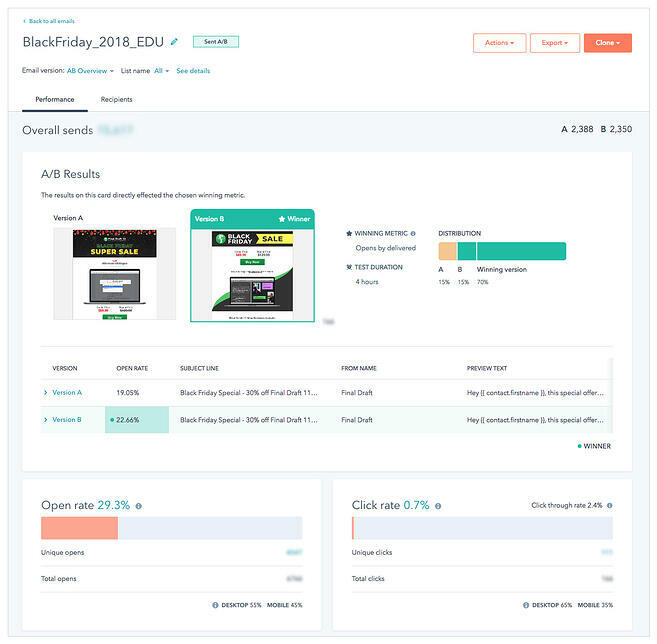 Final Draft launched the latest iteration of its product, Final Draft 11, in September 2018. Following that launch, our team was challenged to help them meet aggressive revenue goals over the holiday season. Specifically, they aimed to exceed launch revenue for their Q4 2016 launch of Final Draft 10. As an online retailer, preparing for and mastering Black Friday and Cyber Monday presents unique opportunities and difficulties. Discount messaging, email and advertising content saturate almost every eCommerce vertical during the holiday season. As a result, Final Draft commissioned our team help them stand out during this time period and to exceed previous campaign performance. Final Draft challenged our team to design a comprehensive inbound campaign to address these challenges and position them for success. In addition to the obvious financial benefit associated with achieving this goal, Final Draft aimed to use campaign touch points to connect with new and existing customers in a thoughtful and helpful way. This approach directly aligns with HubSpot's flywheel methodology. During this process, previous and existing customers should be able to explore new features and updates associated with new purchases. Ideally, this campaign would serve as a way to delight this audience and encourage them to convert or re-convert with new purchases. Finally, we were challenged to use extensive functionality within the HubSpot ecosystem to maximize Final Draft’s technology investment in the platform. As a robust inbound marketing and sales enablement tool, HubSpot offered significant untapped potential to help Final Draft solve recurring business challenges. We used this challenge as an opportunity to introduce creative and strategic uses for their HubSpot implementation. In addition to cleansing and organizing Final Draft’s existing contact database, this exercise primed our campaign for future customization. Using this approach, we were later able to tailor messaging, imagery and send conditions based on user list membership. 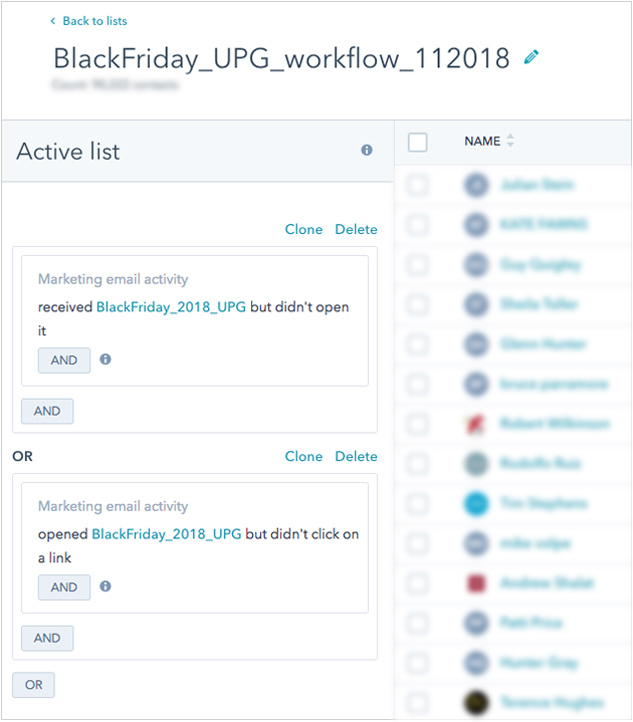 As we will explain more below, we also used these segmented lists as enrollment triggers for promotional workflows. Cyber Week is a week-long digital event saturated in almost every eCommerce corner of the world. As a result, we had to design a promotional approach that resonated specifically with each of our target personas. Additionally, we wanted to save time by setting up a distribution schedule and automated conditions using workflows ahead of time. With a large email database and a strong desire to make data-informed decisions, we worked with Final Draft to incorporate testing into this campaign. In the weeks leading up to Black Friday, we aggressively A/B tested marketing correspondence. For example, we tested email subject lines until each segment received a 30% open rate or higher. We also wanted to ensure each message reached the right users at the right time. Next, we tested CTA placements within each email. Because each segment related to different messages and formats, we were able to tailor future marketing outreach to better identify with their preferences. As you may notice, these directly align with our buyer personas and the way we segmented our smart list. Using this criteria, we were able to create conditions where if a customer purchases the desired action, they are removed from the workflow. Although short in length, these workflows pack a significant punch in terms of functionality and data accuracy. To start, each contact becomes enrolled if they are a member of one of the smart lists above. Following an initial promotional email, we set a 4 day delay and evaluated additional engagement criteria to consider if a contact should continue through the process. We used email opens and link clicks to measure and evaluate purchase intent. As a result, contacts who meet this criteria will receive another email with alternate creative imagery and messaging to compel them to purchase. These emails also include banner imagery, a HubSpot CTA and descriptive text highlighting the benefits and features of Final Draft 11. Ultimately when contacts purchased a product, they were then removed from the workflow so they would not continue to receive correspondence. Finally, we used the HubSpot Ads tool to run custom audiences and retargeting advertisements based on the smart lists we created. This strategy acted as a bookend to our overall email campaign strategy to capture and convert high-intent visitors. Retargeting ads allowed Final Draft to connect with users who previously visited their website and encourage them to continue shopping. Similarly, custom audiences targeting helped them reach users with ads about relevant products. For example, users who had .edu email addresses received advertisements about Final Draft EDU. 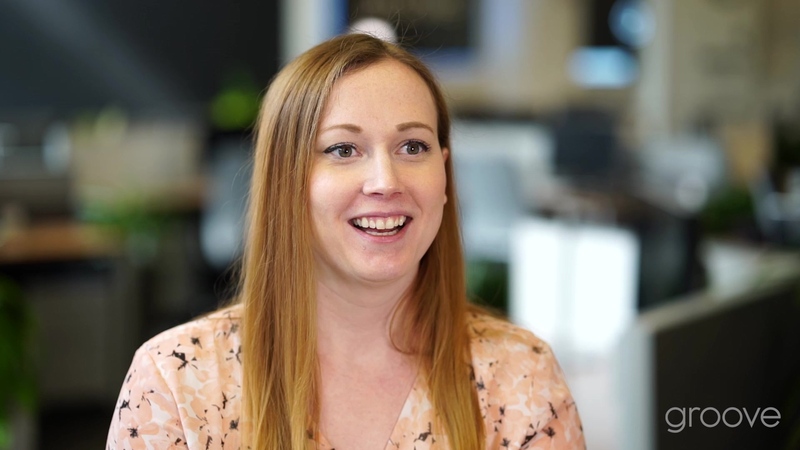 This level of customization helped Final Draft connect with customers in a way that was helpful, not intrusive. 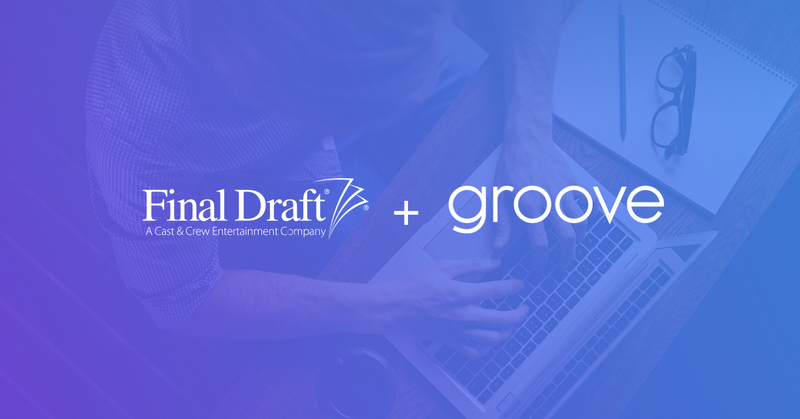 Best of all, we were able to help Final Draft exceed both their Q4 2018 and Final Draft product launch revenue goals. This positioned them exceptionally well as they concluded 2018 and looked forward to the first quarter of 2019. In addition to quantitative results, we also helped their business accelerate and automate their marketing outreach to better relate to their potential customers. In 2016 during the product launch of Final Draft 10, Final Draft did not use HubSpot or a marketing automation tool. Our work helped them fully utilize the tools at their disposal and streamlined their process. For example, our use of workflows saved hours of email outreach, which they performed in 2016 before they used HubSpot. This allowed them to spend time where they could truly make an impact with their potential and existing customers. Finally, this campaign helped Final Draft allocate more resources for growth in the new year. This was directly possible because of the revenue generated from this campaign and positioned them extremely well as they entered Q1 of 2019. "My experience working with Groove Commerce on our 2018 Black Friday and Cyber Monday campaign was fantastic. The team's approach combined HubSpot best practices with creative and strategic tactics. That combination helped our team exceed our revenue goals for both Cyber Week 2018 and Q4 2018 as a whole. Groove Commerce's work helped us save time and money. Ultimately, this created a greater impact across our business and positioned us extremely well as we entered Q1 of 2019 – allowing us to allocate more funds toward growth and expansion. 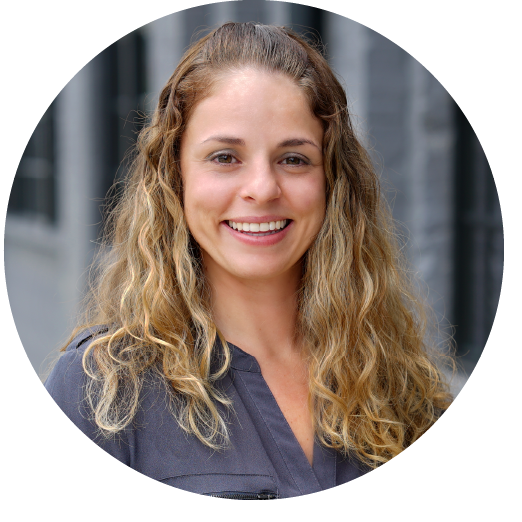 Overall, I would highly recommend Groove Commerce as an agency partner because they're responsive, reliable and helped our business exceed our goals."